Welcome back to Paige’s blog! It’s Kim Jeffress here with a new layout using Paige’s fun Good Vibes Only cut file. 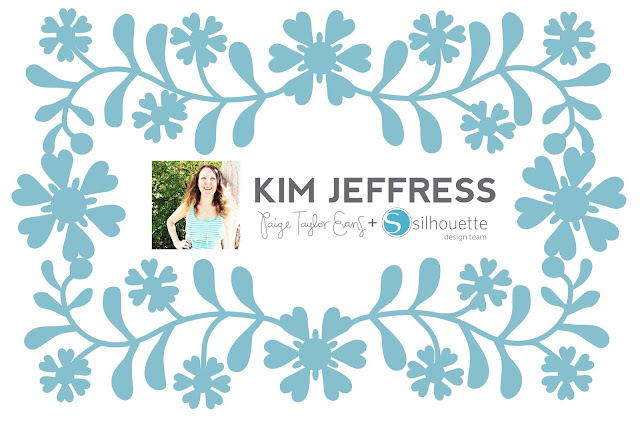 I wanted to create a dramatic effect with the cut file so I cut it almost full size using some of Heidi Swapp’s Minc Toner Sheets. 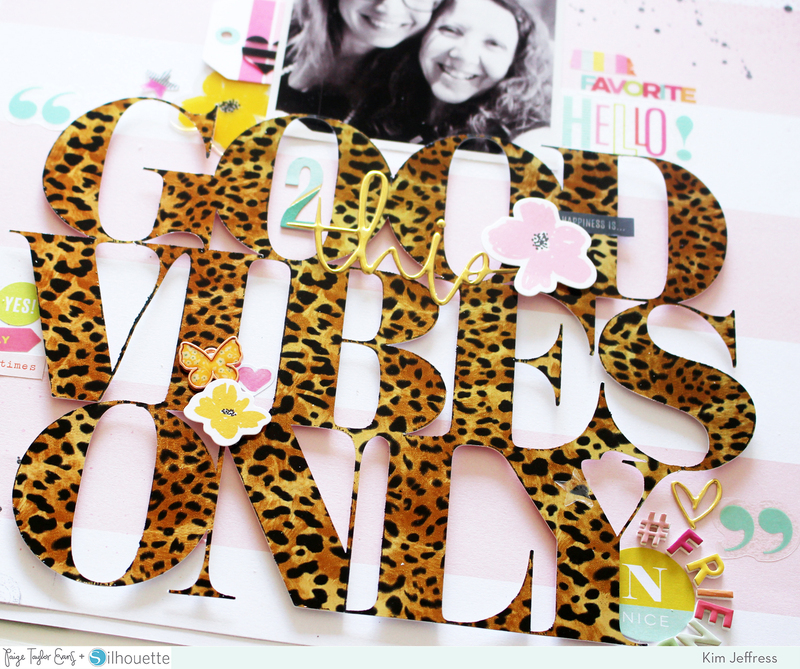 Once cut I ran it through my Minc using the gorgeous new Cheetah Minc foil. I then popped it up with pop dots and adhered it to the bottom area of my layout for some depth and dimension. Doesn’t it make a bold impact!? I then went ahead and added some of the Heidi Swapp Ephemera in and around the cut file. I grabbed the Whimsical Foam Mini Thickers and added them in a semi circle around the sticker to create my subtitle. I love all the bright fun colors! I then adhered that cute little yellow Butterfly Charm to complete my layout. I added hidden journaling on a tag and tucked it behind my photo. I added tape under the photo to keep the tag from slipping down under the photo. It’s always fun way to create a layout with a large title. It sets the scene and makes a big bold impact! 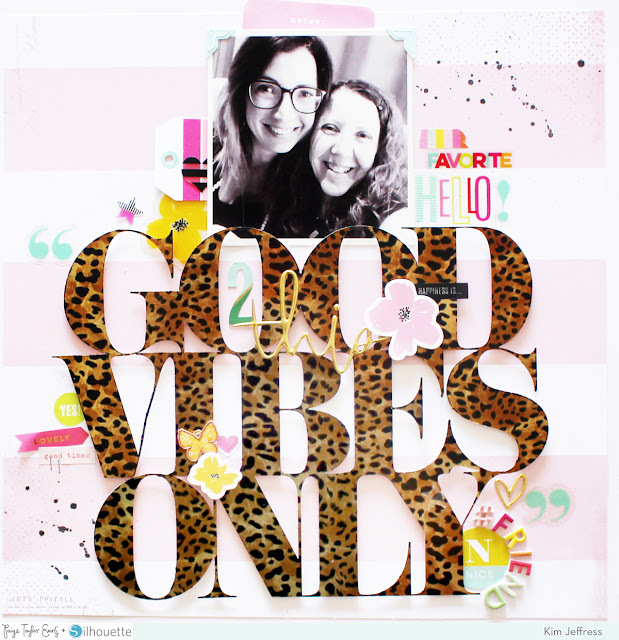 Be sure to check out the Good Vibes Only cut file and if this doesn’t suit the theme of your layout Paige has lots of other large titles that could work for you! Until next time! This is FABULOUS!!!!! LOVING the animal print!!!!! !